Now that our kids are all jazzed-up on sugar, it may be time to take a long hard look at all the hard won treasure. 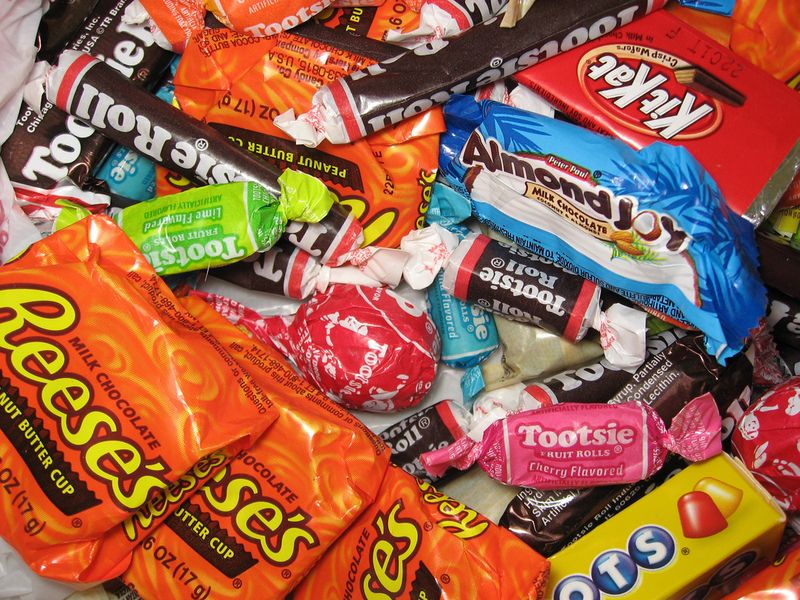 Some local dentists will buy back the candy for a $1/lb and donate it to troops oveseas. Other organizations will take the unopened candy and donate it to nonprofits that send care packages to overseas troops. All in all it is a nice start to thinking about other people. Want to get rid of your leftover Halloween candy? Donate that as well! Halloween Buy Back and Operation Gratitude are two organizations that can help send care packages to those brave men and women serving our country! My children were excited to find out about a candy buy-back program and to do something for the troops. It didn't stop them from making sure their personal favorites are well hidden in our candy bin. Though they aren't exhibiting the altruistic behavior we were hoping for it was a nice segue into helping out other people.